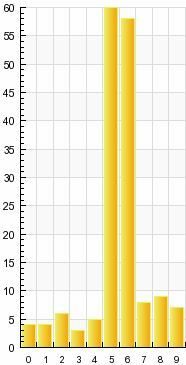 Now that’s a pretty big spike from 5am – 7am. So I checked my referrals and couldn’t really tell where the traffic was coming from. I did see some referrals from a link shared via this FriendFeed user, but I couldn’t tell for sure if that had caused the surge. So I went back to SiteMeter and checked out the entry pages, or the page that people are first landing on when they visit this site. For example, if you find this page via a link shared on Twitter, Sitemeter will tell me that you entered my site via this post. Almost every visitor during that time was landing on this post. But that doesn’t make a lot of sense, since that post is a year old. How are people suddenly finding this year old post? Look to the far right of my blog, under the section on Search My Site. See the Popular Posts section? That’s a plugin that I added over the weekend that takes your 4 more popular posts (based on views, I believe), and links to them. Notice that the Five Reasons Why No One Likes You On Twitter post is the first one listed. That’s likely how the Friendfeed user found it, then he shared it on Friendfeed, and I got a nice 100+ extra visitors. All because of a very simple change in my blog’s layout that took some of my more popular posts, and showcased them. You could be doing the very same thing on your blog. Another tip is to link out to 2-3 of your most popular posts every week on Twitter. What I try to do is write 1-3 new posts a week here. On the days during the week when I do not have a new post up here, I will pick one of my older posts that was popular with my readers, and I’ll share it on Twitter. Yesterday I linked to this post on Lady Gaga’s efforts to connect with her fans. The post is a few weeks old, but linking to it yesterday on Twitter got the post 15 more RTs and 108 more views. Actually, that suggests to me that I should probably move the Popular Posts section above Search My Site so links to all 4 posts are Above the Fold. Remember we’ve talked about the importance of that before? Let’s face it, we all have too much content to sort through, and not enough time to find everything. So anything you can do to highlight your best posts, is going to create value for your readers. And this can also help you with your blog workload. You don’t HAVE to write a new post every day. Really. If you can only do one post a week that’s fine, I’d much rather read 1 great post a week from a blogger, than 3 decent ones. Instead of pressing yourself to write 3 great posts a week (seriously, how many bloggers can do that? ), why not strive for one really great one, and then link to a couple of great posts you wrote a couple of weeks/months ago, on Twitter? Companies, you can do the same thing, simply share your best posts in your newsletters that go out, or promote them to sites that cover your industry so they can feature the posts on their site. The point is, don’t bury your blog’s best content, find ways to share it with your readers. That can only help grow your readership and bring more exposure to your blogging efforts. BTW if you are interested in the Popular Posts plugin I used, here is the plugin page, or you can find it by searching for WordPress Popular Posts plugin from your WordPress dashboard. So true, Mack! We have a random content cell almost at the top of the front page that allows older posts to get a lot of “face time”. It’s always fun seeing a new comment on a blog a year and a half old! Ironically, however, we just changed it out for our event listing area to test that. But I think you’ve inspired me to keep it the way it was! Great point, and definitely one of the unknown knowns (i.e. There are things I can do to make my site (blog, traffic, etc.) better (whatever your goal is) – what will work and what won’t is the question). There was a measurable spike in PRBC mailing list subscribers merely by adding a single line to the bottom of each post (“Sign up for the daily PRBC mailing here” (with “here” hyperlinked to our form). The cruel part is that the link to the form is in our sidebar and had been for some time – placement was tipping point in that particular example. Good post & great point. Exactly! I noticed the same thing, as an experiment, I added a link to email subscription form at the end of a couple of posts, and asked readers to subscribe. Sure enough there was a spike in signups for that day. Placement is KEY, and you need to tie this into the actions you want your readers to perform on your blog. Which should also tie back to the metrics you measure to judge the success of your blog, but that’s another post for another day! Every so often, I receive an alert that someone has commented on an older post, and the same questions come to mind…how, why, really? I tend to think they were searching for something obscure and found me. Thanks for the good idea. Very useful and interesting! Thanks! Hey Lolly! There might be a better plugin out there, which is part of the reason why I mentioned the one I am using, to see if anyone was using a different one. I’d like to be able to change the criteria for selecting the posts, based on say number of comments, instead of number of views. Is anyone using a similar plugin that does this? I think we’re using the same plugin. I have mine display the number of comments below each post. I have found that most people dig through those older posts so the plugin is doing it’s job as far as referring readers to content. Yes!! I highly recommend you all check out PostRank Analytics. They have a truly awesome sidebar widget that shows the top posts and there’s full anaytics on the back end. You can check it out on my Socialfishing blog…! Mack, Good advice and I will totally look for that Popular Posts plugin, see if I can make it work. ITA about quality vs. quantity in blog writing but then I’m a slacker, would be thrilled if I could crank out even one good post a week, consistently. I also have to stop worrying about self-promotion and get over it already; recycle and RT my own posts some more. Thanks for the kick in the pants! Ah, so you’re going green… Recycle. Reuse. Refresh. Always thinking of the environment. Good man… LOL. Experience a similar scenario on YouTube as well. You think how the heck did they find that? And why is it of interest now? Love this idea. Am upgrading my blog and will definitely consider adding this tweak. Thanks for sharing! Mack, there’s a plugin called YARP or YARRP that adds in popular posts – with pics – at the end of each blog post. It does a similar function and is actually quite good at traffic boosting too. Thanks for this Mack – a very good reminder and confirmation that I need to change a few things! 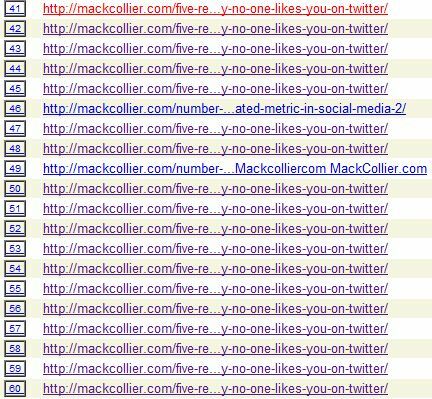 This is great Mack, I’ve been looking for a “Popular Posts” plugin. It looks like the plugin requires the WordPress.com Stats plugin first? I didn’t have that set up yet so I just added it. Jesse you might be right, I installed about 3 diff plugins for posts a few days ago, and removed the other 2. One of them did mention needing wordpress stats, might have been that one. Which is another great plugin, BTW! Great tip. I have fiddled around with a few similar plugins. I just rebranded my site and have a whole new look. I will need to revisit the popular post plugin. There are also plugins that will give you a random post in the sidebar. Driving traffic to even those not so popular posts. Be careful, though. If you’re using a plugin that displays content based on random algorithms, you may not want something you wrote a long time ago or about an esoteric subject to be something people click. Typing regarding the Inspiron 15’s keyboard is a useful one and comfy, no complaints at all. in the screen, if you decide to gently shake a laptop screen in the future and go. will take longer to the system to become repaired.